Leon Tsoukernik, owner of King’s Casino, has filed a counterclaim against Matt Kirk for million. The wranglings in the high-stakes heads-up legal drama between “Aussie” Matt Kirk and Leon Tsoukernik continued Tuesday as lawyers for Kirk filed a motion to dismiss Tsoukernik’s $10 million counterclaim. In the counterclaim, Tsoukernik, the owner of the Czech Rebuplic’s King’s Casino, is alleging defamation, civil conspiracy, and fraud, among other charges of Kirk. Tsoukernik’s action, filed on November 8, is in response to Kirk’s original $2 million lawsuit alleging non-repayment of high-stake poker debt. Kirk’s Tuesday filing addresses each of the charges, asking for complete dismissal of the counterclaim, arguing that Tsoukernik not only does not have a claim that can be awarded compensation but his argument of fraud doesn’t hold up to the higher standard required. The motion breaks down each of Tsoukernik’s claims and tackles the “cause of actions”, or the alleged facts that enable people to bring action against one another. In addition to requesting the complete dismissal of the counterclaim, Kirk has simultaneously requested a denial in the motion to include the Aria Resort & Casino as a third party to Tsoukernik’s claim based on the same argument that Tsoukernik’s entire lawsuit is without cause. Among the allegations against Kirk is what Kirk’s lawyers call Tsoukernik’s “I was drunk” defense. The King’s Casino owner claims that he was overserved and then taken advantage of by Kirk, causing him to play and lose as he normally wouldn’t, leading to defraudment. Kirk’s motion points to video surveillance by the Aria which, according to the court papers, provides no concrete evidence of Tsoukernik’s intoxication level. They continue to attack “I was drunk” as a basis for action by using Tsoukernik’s position as a casino owner against him. 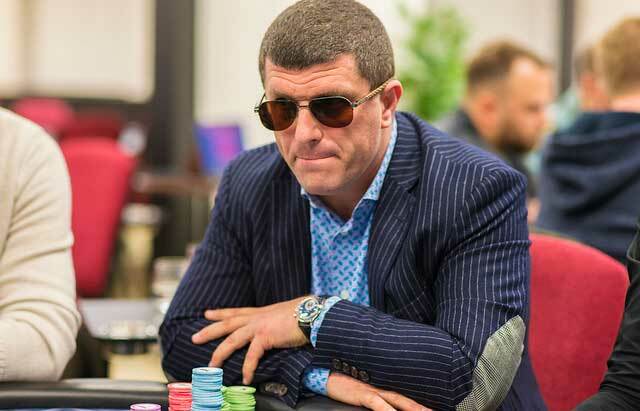 While the video from the Aria security cannot detail Tsoukernik’s level of sobriety, it did apparently show him both accepting the loans as chips passed back and forth across the table as well as the infamous text exchanges detailing how high rollers document the loaning of money. Another one of Tsoukernik’s major contentions is the damage he feels he’s taken to his reputation at the hands of Kirk. Kirk asserts that any potential reputation for Tsoukernik as a “welcher” (someone who refuses to pay his debts after a bet) or a “stiff” (someone who cheats someone of what they are owed) was not brought about by Kirk himself by simply filing the initial lawsuit. If readers of the unidentified “blogs and/or articles” about the nature of the initial lawsuit came to any conclusions on their own that is not something that Tsoukernik can sue for and, to date, Kirk has reportedly not gone public with any statement. Perhaps new information was also revealed as the motion recounts that the day before the game in question, on or about May 26, Kirk and Tsoukernik played in a different game, still at the Aria, where Tsoukernik had lost $1,500,000 to Kirk. Kirk received payment in full for that game. The combined losses would put Tsoukernik $4.5 million in the hole to Kirk.